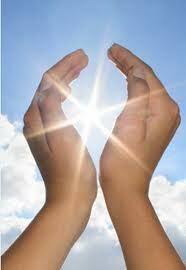 Your Happiness Factor: Feel the energy in your own healing hands! Here is a simple guide to allow you to feel your own energy in under a minute. And, yes, it does work, quite remarkably. Whether you would like to practice reiki, qi gong, re-connective, spiritual or any other type of healing you are tapping into a universal source that is available to anyone. so why not see if you can feel it too? Career Development - How To Enhance Your Skills With Continuing Professional Development.